Construction begins on solar project in Calipatria | West Coast Solar, Inc.
Construction has started on a solar energy project in Calipatria, California, near the Mexican border. The new plant will provide enough power for 60,000 homes while employing 800 people during the construction stage. Located a few hours east of San Diego, the developers will be selling electricity to San Diego Gas & Electric under a 25-year power purchase agreement (PPA). Called Solar Gen 2, the site consists of three separate arrays of photovoltaic (PV) panels, which are mounted to a tracking system that follows the movement of the sun. It is expected that the plant will be completed in July of 2014. “These projects and others like them here in Imperial County are doing exactly what they’re supposed to be doing when we set out to make Imperial County the renewable energy capital of California,” Ray Castillo, chairman, Imperial County Board of Supervisors, told the Imperial Valley Press. Solar Gen 2 will generate $150,000 in property taxes annually, as well as $4.1 million in public benefits. 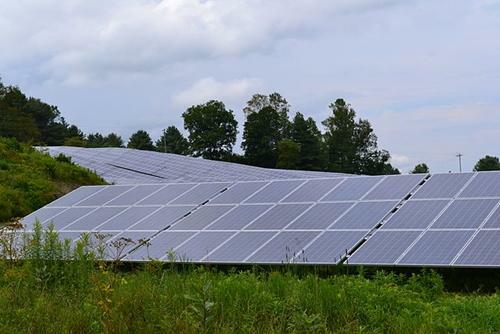 PPAs are a great way for institutions to use solar power. Essentially, a solar contractor such as West Coast Solar agrees to finance and build a solar PV array on your organization’s rooftop or land, and you agree to purchase power from that system at an affordable rate that is competitive with what you’d be paying for grid electricity. PPAs give you predictability and stable energy costs, making it much easier to forecast future expenses and avoid the price fluctuations that can occur when relying on conventional power sources. For more information, contact West Coast Solar today.